The Moon Motor Company was around for 25 years (1905-30). It seems strange that many people, including us, were unaware of this car company’s existence, given that length of time as a automotive builder from St Louis. 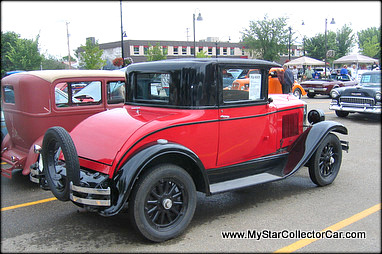 They were considered to be mid-ranged price vehicles with a good reputation for quality parts and assembly process; however the Moon Motor Company was plagued by high operating costs and was an early casualty of the Great Depression. 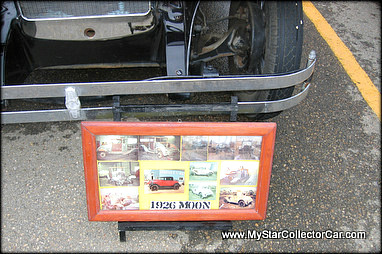 We spotted a 1926 Moon at a summer show and sought out the owner of the unusual and very rare car. We actually found the owner’s son Harley Hand that afternoon and he gave us a rundown on his Dad’s Moon. Harley’s father had a conversation with its former owner at a New Year’s Party many years ago and the guy confessed that he would never get the car restored, a confession that does not occur often enough in car guy world. The man sold it to Harley’s Dad because he and his family owned a body shop, a very good reason for the former owner to let the Moon go to a better home and get it back on the road. The Moon was re-built by a posse in the shop and everybody took a piece and hammered it back to its original rust free shape and size. The result was a happy ending for all parties and now the fully- restored Moon makes appearances every summer in the local town events. 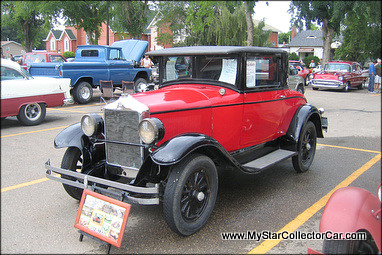 The Moon is an original with some unique features that befit its Cabriolet Roadster title, including a rumble seat and roll down rear window so people in the front seat could talk to people in the rumble seat. 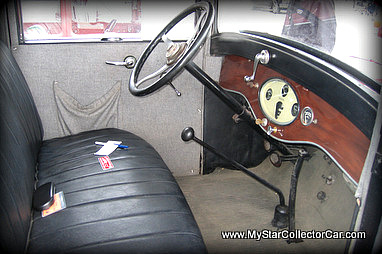 Rumble seats had a real association with the Roaring 20s because they seemed to symbolize that wild and crazy decade from the early 20th Century, along with flapper girls, speak-easies and the Charleston dance. 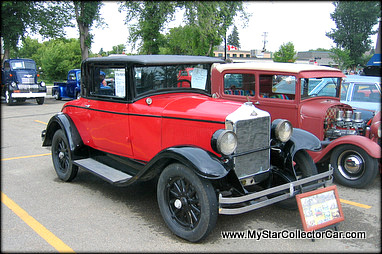 This Moon has a 6-cylinder engine that powered it down the road pretty well in the 20s, but that was a different era for speed limits and Harley’s father does not push his 86-year-old senior citizen Moon too hard these days. 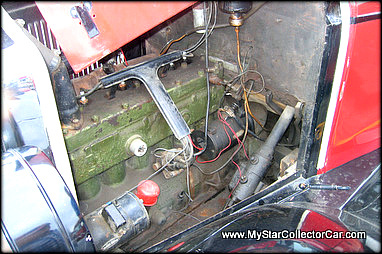 One of the more interesting parts of this Moon’s personal history occurred during World War II when it was stripped down so that it could be classified as a truck and avoid heavier rules for gas rationing. Trucks had leeway because they were considered to be essential vehicles for the farm industry, so creative Moon owners dressed their cars in truck drag during the war. It should be noted that the Moon Company also built trucks, so this Moon had a basic link to the truck version of a Moon. The return of this Moon to its car roots after the war was a good game plan for the vehicle because it is back to its former glory with the car parts reunited with the temporary war truck. 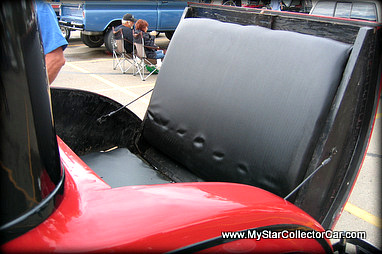 For us, this Moon was simply a very cool car with a very cool history and we were glad to find it at a car show. 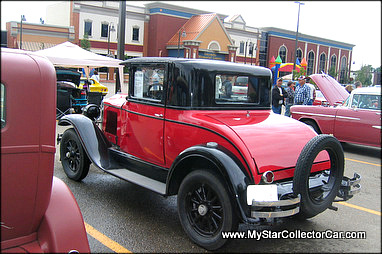 A car this unique will definitely highlight any show and we are proud to tell its story here at MSCC.